Prominent & Leading Manufacturer from Chennai, we offer non hydrated cool pack, non hydrated ice packs, non hydrated gel sheets, non hydrated cool ice pack and non hydrated gel sheet. 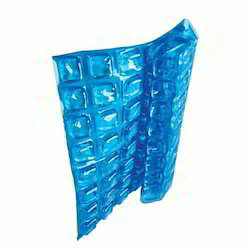 Great value lightweight ice pads to help keep your perishable items protected for longer! Our Non Hydrated Cool Pack provide are a great way to keep food fresh in transit and are widely used in the food industry. Used in conjunction with our great value polystyrene boxes and insulated containers these will help ensure your fish, meat and produce will arrive at its destination in the best possible condition. Our Non Hydrated Ice Packs provide are a great way to keep food fresh in transit and are widely used in the food industry. Used in conjunction with our great value polystyrene boxes and insulated containers these will help ensure your fish, meat and produce will arrive at its destination in the best possible condition. We deal in Non Hydrated Gel sheets. 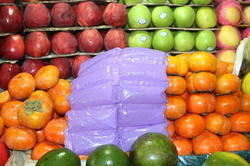 The ice sheet is a lightweight blanket which, when hydrated and frozen, is used to keep products cold during shipping. The cells contain a superabsorbent material, which when hydrated, produces a flexible gel that is trapped within each pocket or cell, creating a flexible “quilted” pattern that is frozen before use. 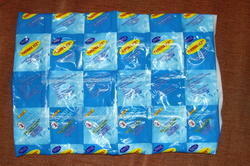 The ice sheet is a flexible pad that provides a uniform, cold, temperature blanket around the product during shipment. The ice sheet is also used for medical, laboratory and therapeutic applications such as sports injuries, arthritis, etc. We deal in Non-Hydrated Cool Ice Pack. We deal with Non Hydrated Gel Sheet. 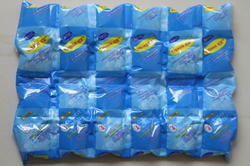 The ice sheet is a lightweight blanket which, when hydrated and frozen, is used to keep products cold during shipping. The cells contain a superabsorbent material, which when hydrated, produces a flexible gel that is trapped within each pocket or cell, creating a flexible “quilted” pattern that is frozen before use. 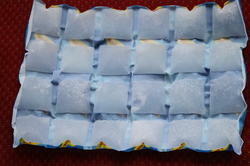 The ice sheet is a flexible pad that provides a uniform, cold, temperature blanket around the product during shipment.